Glenn Failla graduated from Elmhurst College in 1978. Glenn immediately entered the real estate industry. 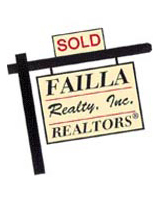 The Failla Family has 3 Generations of Real Estate Experience behind their name. Glenn has been actively selling real estate from 1978 to date. Through the years, Glenn has worked with buyers and sellers of existing residential, income and commercial property, also builders in the new construction field and condominium sales and conversions. Click on the link above to view my bio and personal profile. Click here to view what my clients have to say. Search available properties for sale. Click here to view our available listings. Ready to List, Buy or Rent with Glenn?